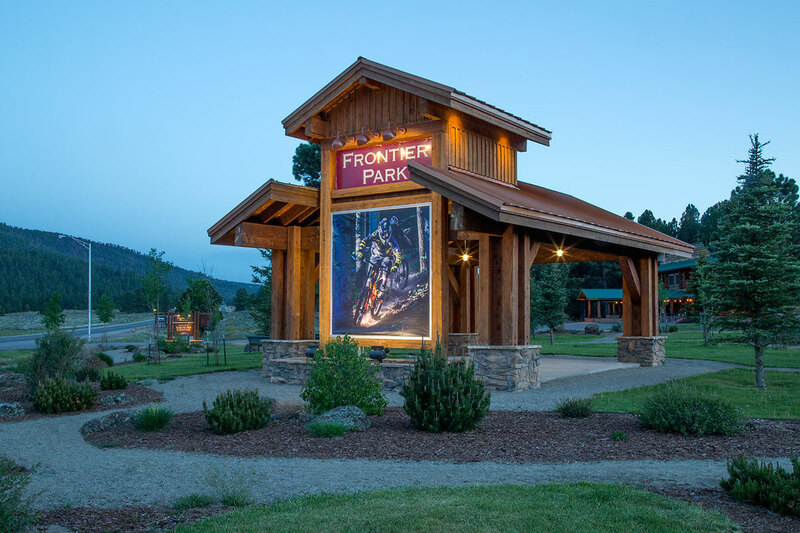 CONTRACTOR: ANGEL FIRE RESORT, LLC. 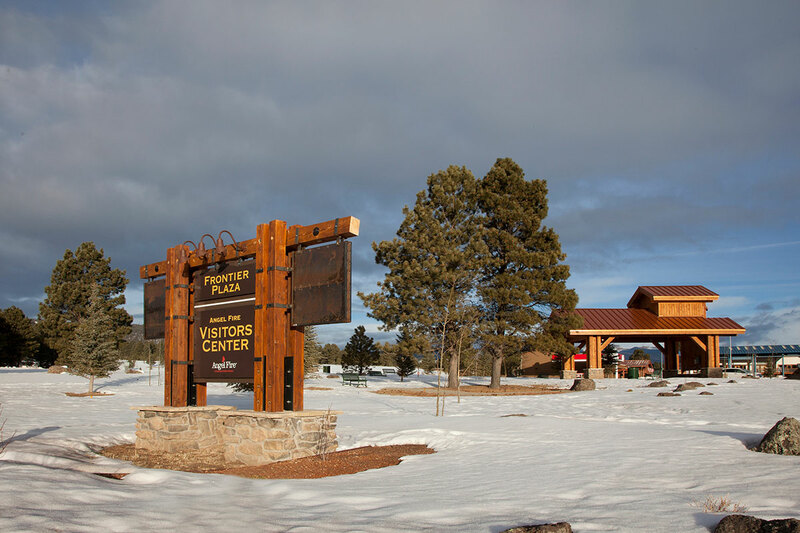 The Four Corners Project in Angel Fire, New Mexico is a civic place-making and way-finding project at the intersection of NM 434 and North Angel Fire Road. 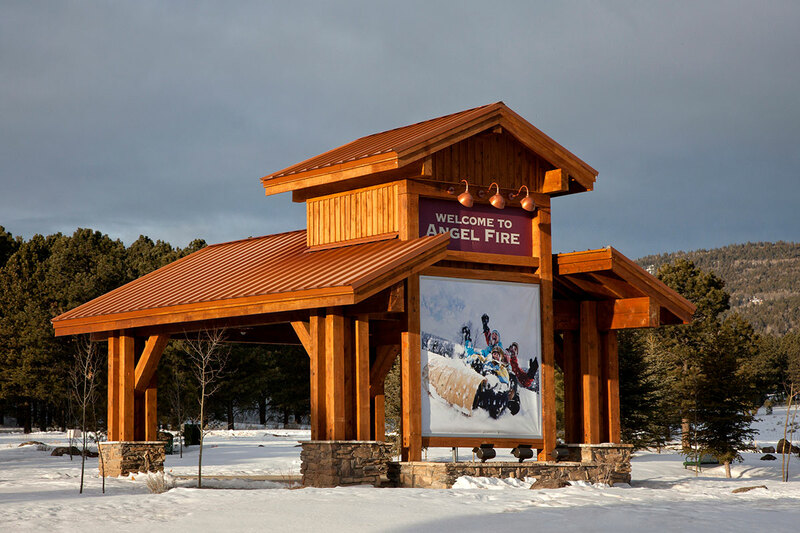 That intersection marks the center of town and the turn off to Angel Fire ski resort and downhill biking area.The village and resort wished to make a central park for events, farmers markets and public use because the village of Angel Fire lacked a visible center and identity. 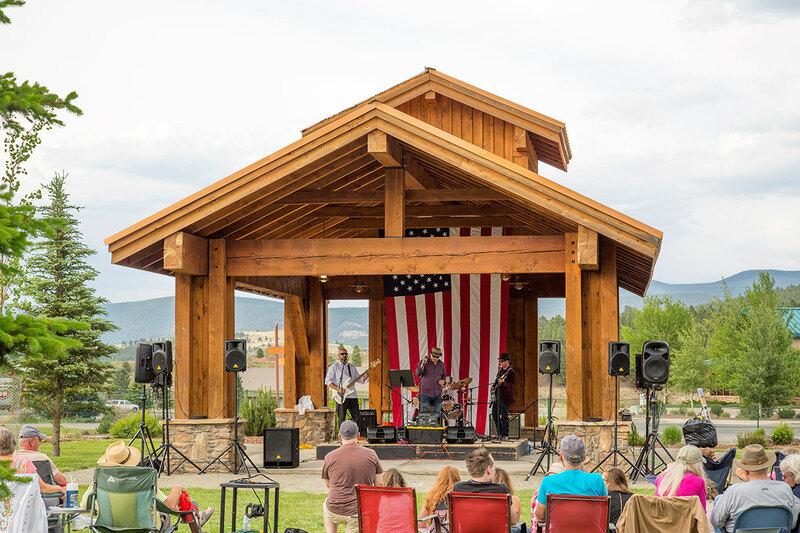 The resulting pavilion and park marks the point of arrival and is a striking example of local craftsmanship and skill; a timber frame structure that is made of local timber, harvested and milled in the valley. 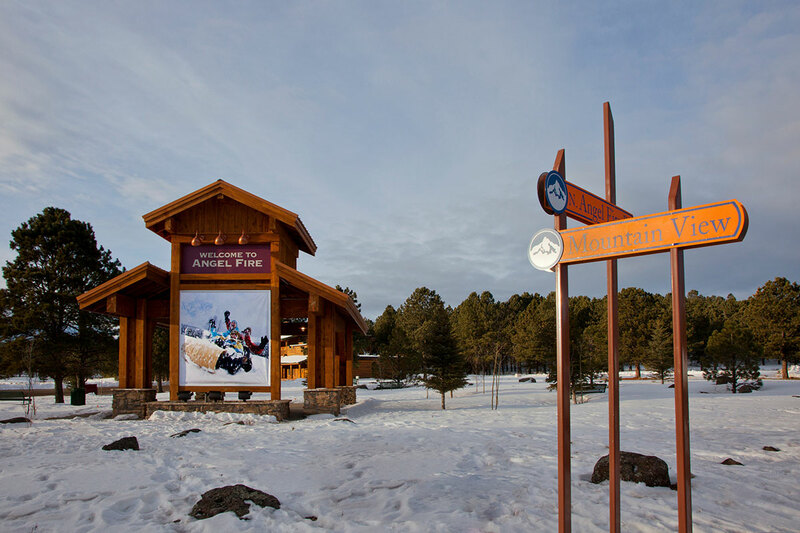 The pavilion is also a signage marquee with banners that signal the change of seasons from winter skiing, to summer biking, and announcing colors in the fall. The four corners were marked with a timber frame signage system developed to give coherence to the signage at the village center. That system has also been applied throughout the valley including the airport, local athletic fields, and other village and resort locations. 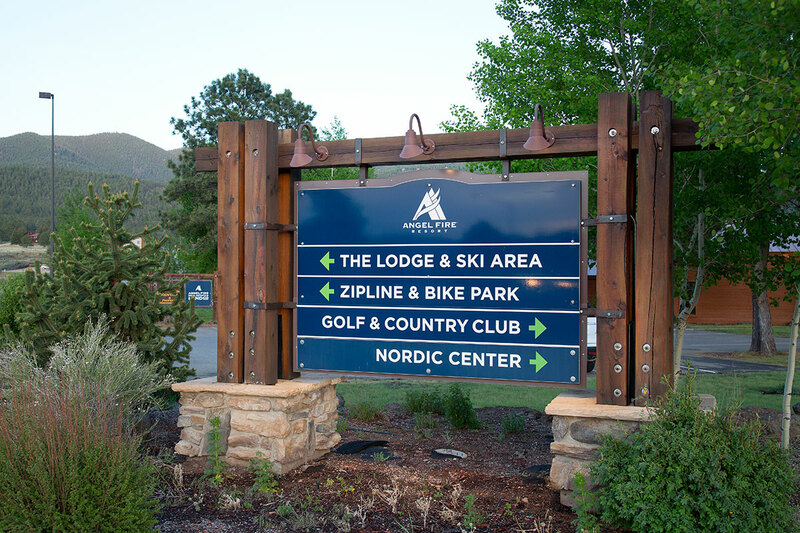 LDG architects worked closely with the village and resort to develop the signage system and identity. We also worked with local businesses to incorporate their individual needs, such as the gas station with its LED signs for daily prices, and the local bank with its digital marquee for time and temperature. Salvaged from a vacant lot, the park project included design of the pavilion and pathways, incorporating parking and linking park signage with the local trail system. 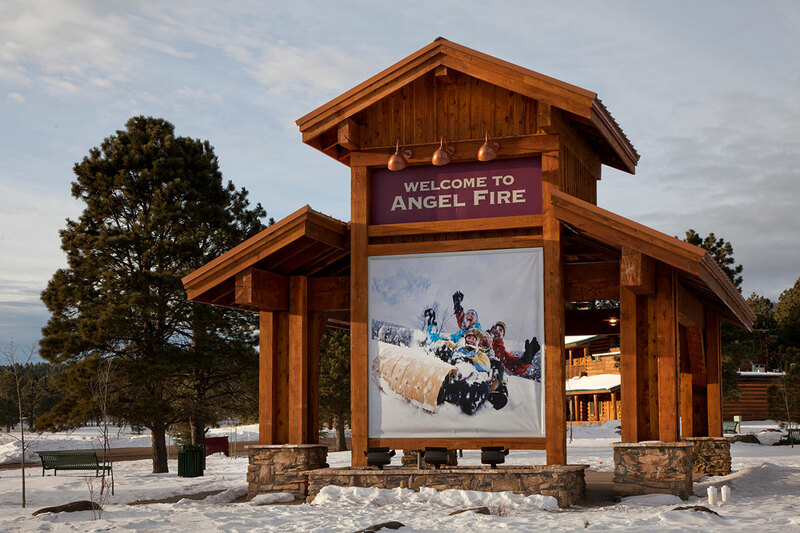 The project has been a huge success and gives shape to the reinvigorated village of Angel Fire, providing a beautiful example of how civic pride and local investment can be a catalyst for positive change.